Republic of Kurdistan was founded in 1946 in east of Kurdistan (Iranian occupied Kurdistan) the republic of Kurdistan was a major historical achievement. Kurdish became the official language of the republic and the Pêşmerge Forces of Kurdistan was for the first time created as a Kurdish army. Kurdish newspapers and magazines flourished in the republic of Kurdistan. Gender equality was made a top priority, especially education for girls. It was during this time that the Democratic Women’s Union of Kurdistan was established. The republic was an island of liberty and democracy. However, the dictatorial regime of Iran managed to re-occupy Kurdistan after eleven months, which resulted in the demise of the Republic of Kurdistan and the execution of Qazî Mihemmed, the president of the republic, and three of his friends. 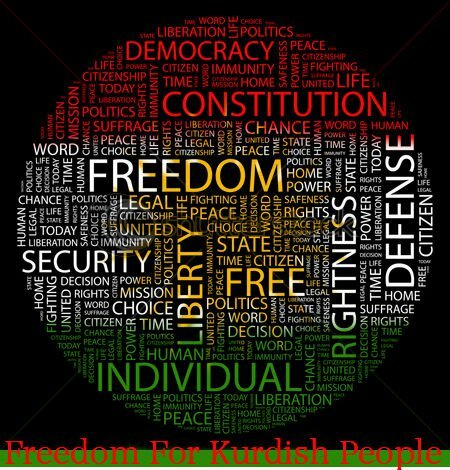 In spite of being short-lived, the Republic of Kurdistan is a millstone in Kurdish history and it is a point of reference for other Kurdish movements in other parts of Kurdistan in pursuit of the Kurdish nation’s legitimate right to self-determination. For the past 71 years, thousands of brave women and men in the PDKI have sacrificed their lives in pursuit of the legitimate national rights of the Kurdish people, human dignity, liberty, secularism, democracy, gender equality and social justice. Sadly, the plight of Kurds in Iran is often overlooked especially in recent years when most of the worlds focus has been on ISIS. Last edited by Anthea on Fri Sep 29, 2017 1:28 pm, edited 2 times in total. The main armed Kurdish group opposed to the Iranian state will focus its operations deep inside Iranian Kurdistan in the year to come, a commander of the force told Rudaw. The Democratic Party of Iranian Kurdistan (PDKI) ended a two-decades ceasefire in 2015 with the objective of deploying armed Peshmerga to north and northwestern parts of Iran where millions of Kurds live. Since they resumed their active armed activities, the party has increased its aggression against Iranian security forces. Both sides have suffered casualties in clashes on the border and inside Iran. "We operated a bigger force last year, but we are doing it in a different way this year,” Rostam Jahangiri, a commander and PDKI politburo member, said as he was inspecting his Peshmerga fighters, many of them in their early twenties. “I believe it will increase and become broader this year compared to last year. Our program will implement this across Kurdistan," he added. This is part of a strategy codenamed Rasan, or resurrection, that will bring Peshmerga fighters closer to their homes across the mountains. They believe the Kurdish people will be more vocal to demand their rights if they are supported by their Peshmerga in the mountains. "We have come to these mountains because we are entering a new phase, so that we can have contact with our people and support urban endeavors from these mountains," Afshar Mohammed, a young Peshmerga said, adding that there is a big difference between being stationed in Koya, east of Erbil where the party's headquarters are, and being deployed to the mountains that are under Iranian surveillance. Their duty is to infiltrate often risky terrain to conduct cross border operations. Iran has carried out shelling against PDKI positions and those of other active armed groups. Hasan Sharafi, PDKI deputy leader, told Rudaw in September 2016 that they refused to call their activities an "armed struggle." "We call it the presence of Peshmerga alongside the people of Kurdistan who are under the pressure of the Islamic Republic of Iran. They are detained, jailed, and being monitored. Our Peshmerga's have presence in the areas is to protect those people and support them." Furthermore, I believe the PKK was instrumental in the The Democratic Party of Iranian Kurdistan (PDKI) decision to end their two-decades ceasefire in 2015. In fact, so strong had the Kurdish areas of Iran become, it was believed should Iran collapse Eastern Kurdistan would be the only area to survive virtually unscathed. language save it from oblivion? Kurds worldwide marked UN International Mother Language Day on February 21 to celebrate their distinctive tongue. However, the future of the language in Turkey and Iran could be in doubt. Standardizing its many dialects may be its only hope for survival, experts warn. Although Kurds make up the second largest ethnic group in Iran, Turkey, Iraq, and Syria, their language is only officially recognized in Iraq. In Turkey, the official use of Kurdish was banned for almost a century, while in Iran and Syria it is yet to be officially recognized. In Iran, Kurdish is regarded as a mere regional dialect, while Turkey is openly hostile to its promotion and use. Experts argue there is an urgent need for a standardized Kurdish language to unite the nation more comprehensively, but to also preserve the distinctive Kurdish dialects. In Iraqi Kurdistan, Kurdish is the official language of government and media. In Iraq as a whole, it is recognized as an official language alongside Arabic. Kurdish is found on official paperwork including passports and currency. The Iraqi Education Ministry has also made the Kurdish language mandatory in Iraqi schools. However, many products made in the Kurdistan Region often do not feature Kurdish words on them – opting instead for Arabic or English. “We have been searching this warehouse for a spice we want. However, when we looked closely, there is no Kurdish writing on it. Kurdish writing is very important,” Yassir Mohammed, a retired teacher in Erbil, told Rudaw. 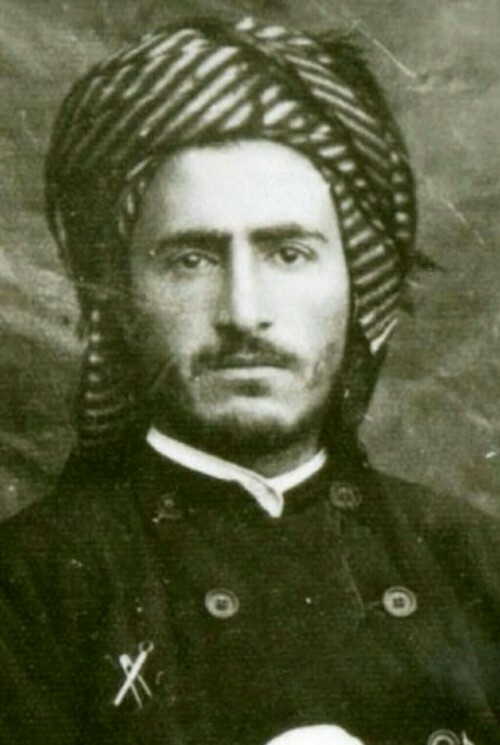 Mohammed said many people in Erbil do not understand Arabic or English, making the option of Kurdish script a vital requirement. There are more than 5,000 licensed factories in the Kurdistan Region. Some 3,800 of them sell their goods in local markets. Factories operating in the Region are not required by the Ministry of Trade and Industry to feature Kurdish text on their products. The ministry says it is up to the Kurdistan Regional Government (KRG) to draft legislation. “As of now, there is no special law for the Kurdish language stipulating what form or dialect it should be written in. There has been no conclusive decision,” Abdulrazaq Othman, an official in the Ministry of Trade and Industry, told Rudaw. Companies in the Region use Arabic and English to bolster their exports to southern and central Iraq. In Iranian Kurdistan, many volunteers have opened centers for the Kurdish language. They call on Kurds to use their mother tongue in their daily life. In Baneh, a ceremony was held to commemorate mother tongue day. During the ceremony, certificates for individuals who had completed their Kurdish education were awarded. “We are teaching basic Kurdish alphabet and writing. After they have learned this part well, in the second part, we work on a united system of writing,” a volunteer teacher in Iranian Kurdistan said. They want Kurds, although with great differences in dialects, to write in the same way through a united system of writing, the teacher said. “We pay much attention to the second part, namely united writing [system],” the teacher added. “I hope everyone is able to speak in their language. We haven’t had this opportunity so far. For example, if I am to have a younger brother, I will tell him to go and study his mother tongue at first. I won’t let him study the Persian one,” said a young Kurd from Iranian Kurdistan. Article 15 of the Islamic Republic of Iran’s constitutions recognizes Persian as the official language of Iran, but allows for the use of “regional and tribal languages” in the press and mass media, and for teaching the literature of those languages in schools. Election posters for Iranian President Hassan Rouhani promised Iran’s minorities they could receive an education in their mother tongue. Now into his second term as president, the promise is nowhere near implementation. However, four years ago, a Kurdish department was opened in Sanadanj’s University of Kurdistan, giving students the chance to study their four-year degrees in Kurdish. Dr. Baxtiyar Sajadi, head of the Kurdish Language and Literature department at the University of Kurdistan, Sanandanj, has announced they will offer a master’s degree in the Kurdish language next year. In April this year, the first cohort of students to study in Kurdish will graduate from the University of Kurdistan. Sajadi said there are 165 students studying in the university’s Kurdish department. “We hope to offer master’s as well next year. Fortunately, the question of Kurdish language, as the Kurdish Language and Literature Department, in the ministry of higher education has been resolved,” Sajadi added, saying any university could open the department if it wanted. “However, it is unfortunate and with great sadness in the Ministry of Education is yet to be resolved there,” added Sajadi. This is a good step as a “starting point”, says Dr. Nariman Khoshnaw, an expert in standardized Kurdish. There is a “total and serious” threat to the Kurdish language in Rojhelat, especially in areas of Luristan, argued Khoshnaw. “There is a great national sentiment in Rojhelat for preserving the language. Let’s say it. The survival of Kurds there is bound to the language,” Khoshnaw said. “It is our duty [in Iraqi Kurdistan] to go to Rojhelat, and support and back them directly. How directly? We have to go and hold seminars and participate in conferences to develop the Kurdish language and preserve it from become extinct,” added Khoshnaw. A group of Kurdish activists calling themselves “United Kurdish Front” has sped up efforts to push for Kurdish education, and Kurdish MPs in the Iranian parliament have joined their efforts. In Turkey, the Kurdish language has faced official bans for almost a century. However, from 2012 onward, in a rare democratic opening by then-Turkish Prime Minister Recep Tayyip Erdogan, Kurdish was given a breath of life. Official state TV broadcaster TRT aired in the Kurdish language and covered Kurdish news. Private schools teaching Kurdish were allowed to open. Kurdish institutes and language centers were opened. However, with the breakdown of the peace process between the Kurdistan Workers’ Party (PKK) and the Turkish state, and the July 2016 coup attempt in Turkey, a crackdown on Kurdish institutes and language centers was set in motion. Nine Kurdish parties, at the end of 2018, started campaigning for the use of the Kurdish language and official recognition. To that end, the Kurdish Language Platform was formed by the major Kurdish parties in Turkey. Ahmed Zaki Akinci, spokesperson for the Kurdish Language Platform in Turkey’s Kurdistan, told Rudaw they have reached a “good stage” in their efforts for Kurdish language usage in Turkey. They are at a stage in which “people own up” to the Kurdish language and use it, claimed Akinci. “We would like our language to be used daily, to become the language of education, and the language of the bazaar,” Akinci added. They will soon submit a report to the Turkish government demanding the Kurdish language be recognized officially and used in education. Akinci admitted the Kurdish language is not being used widely among the Kurdish population in Turkey’s Kurdistan. Their work is being hampered by the Turkish government, and the state of emergency which followed the July 2016 coup, he said. Nine Kurdish parties, despite differences in their political stances, have agreed to form the “Kurdish Language Platform” in a bid to boost the usage of the Kurdish language. In 2012, elective Kurdish courses were introduced. To that end, in 2014, Kurdish language teachers were employed. There are likely to be fewer than 50 Kurdish language teachers in Turkey. Annually just six Kurdish teachers are employed by the state. Overall, Kurdish language usage faces a downward trend. “Certainly there is that danger. We don’t say it has completely disappeared, but the number of Kurds speaking Kurdish at home has decreased greatly,” Sayid Varozh, a representative of the Ismael Besikchi Foundation, Diyarbakir branch, told Rudaw. The Kurds have themselves to blame for this, Varozh said. But the ban by the Turkish Republic since its foundation up to around 1992 also greatly hampered the usage of Kurdish. He downplayed the effect of the “Kurdish Language Platform”, claiming the parties and organizations behind it still speak Turkish internally. “Those organizations of us Kurds in Northern Kurdistan still have Turkish as their language. If those individuals working in these organizations, their members, or heads, don’t make the language their daily language of their political and social struggle, how will the language go forward? These are only media stunts,” Akinci warned. More work is needed towards concrete and practical steps, he said. While there was not a full ban on the use of Kurdish in Syria under the Assad regime, it was never recognized as an official language, and Kurdish names were not registered for babies. Kurdish cultural activities such as Newroz were also banned. However, with the onset of the Syrian civil war and the Kurdish Democratic Union Party (PYD) carving out a Kurdish self-administered enclave, the Kurdish language has become the official language of the northern provinces, alongside Assyrian, Arabic, Turkmen, and other local languages. “Today, great steps have been taken due to the efforts of patriots and Kurdish language organizations,” Manan Jaafar, a researcher of the Kurdish language, told Rudaw. They have reached an “academic” level, and there is a need for a Kurdish dictionary and standard Kurdish, he added. Arshek Baravi, a Kurdish linguist, told Rudaw that in the last seven to eight years in Rojava children and older people now speak Kurdish, and opportunities for publication of books, newspapers, and other writings in Kurdish have increased. Kurdish has made a comeback in public life. Now, after years of Kurdish language usage in schools and media, the Kurds now want Kurdish recognized as an official language in Syria. “Now I study the Kurdish language, my mother tongue. It feels like a dream to me. For the other students too, we couldn’t believe that we were going to study in our mother tongue,” Beritan Rashid Hiso, a student from Rojava, told Rudaw. “Today, we are freely speaking in Kurdish, studying in Kurdish, poetry. This is a very good thing,” Aras Qassim, a student, told Rudaw. For the first time, they can now freely and easily read the Kurmanji poems of Mullah Ciziri, Ahmed Xani and Cigerxwen, added Qassim. Now negotiations are underway between the PYD and the Syrian regime. The Kurds want autonomy, but the Syrian regime is only willing to accept demands such as cultural autonomy and recognition of the Kurdish language. Arshek Baravi, a Kurdish language expert, argues there has to be a united, standardized Kurdish language, just like the need for social and political unity. The grammar of the main Kurdish dialects, Gorani, Zazaki, Sorani, and Kurmanji, are closely related, and through researching the grammar of the four, a united grammar could be formed, the linguist said. The vocabulary of the dialects, varying greatly from one another, could be written in a united dictionary that shows “the richness” of the Kurdish language, he said. Dr. Nariman Khoshnaw, an expert in standardized Kurdish, told Rudaw there are two standard versions of the Kurdish language in the Kurdistan Region – Middle Kurmanji and Upper Kurmanji. “Fortunately, we have good experience with regards to this in Southern Kurdistan. Standardized Kurdish in the media outlets, be it Sulaimani, Duhok, Erbil, or even Kirkuk provinces and in [governmental] bureaus and institutions has been used,” claimed Dr. Khoshnaw. However, there is not a standardized Kurdish in Iranian Kurdistan, he said. Once Kurdish linguist claims regional states with large Kurdish minorities are deliberately politicizing the differences between Kurdish dialects to break and divide the Kurdish nation into dialect-based groups. Masoud Babayi, a researcher of the Kurdish language, told Rudaw a distinction needs to be made between “national language” and “mother tongue”. The regional states with Kurdish populations have often presented the narrative that there is no Kurdish language, and if there is, Hawrami, Zazaki, and other Kurdish dialects are different languages. Babayi argues that a lack of mutual intelligibility between different Kurdish groups does not mean the languages are not Kurdish. He talked of the example of Luris. The Luris were pushed into differentiating themselves from Kurds and encouraged to doubt whether they were Kurds, Luris, or Persians. However, they did not become an independent nation. In a second phase, they were pushed into the belief they were Persians. “This is what the capital of the Islamic Republic wanted to do,” Babayi said. The region of Hawraman, which straddles the mountains between the Kurdish regions of Iraq and Iran, is at the heart of Kurdistan, said Babayi. “Cutting of Hawrami from Kurdish is cutting Kurdish off from historical philology,” he argued. Despite this threat, Kurdish parties are “in a deep sleep” when it comes to their cultural policies, and there is lack of awareness among Kurds themselves, claimed Babayi.